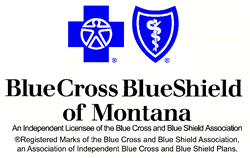 Welcome to our newest customer, Blue Cross and Blue Shield of Montana, Inc. (BCBSMT). BCBSMT is the state’s largest and oldest health insurance company, serving the residents and businesses of Montana. For more than seven decades, the company has provided its customers with the security of knowing they have health care when they need it. Today, as a not-for-profit health insurer, BCBSMT continues to help Montanans lead healthier lives.